The Great Famine’s impact on each local area is demonstrated clearly in an innovative interactive map. Alan Fernihough and his team at Queens University, Belfast have come up with this excellent tool. While the % population is shocking, the actual numbers who were no longer living in the parish is 1851, whether through death or emigration is even more so. And remember, in normal cirucmstances, procreation – births would have continued during these ten years See the de-population of your Kerry parish, how many 4th class houses were in your parish. People living in 4th class houses, were among those who suffered the most during the Famine. Wow, such fantastic information. I would love to know where the numbers for the 1841 and 1851 Irish Census came from. Are the 1841 and 1851 Census records for Co. Kerry still available? If so, are they available on any particular website? I know that most of the 1841 and 1851 Census records were burned in Dublin during the war in the early 1900s. I have been working on my ancestry for years. I knew the famine had to have had an impact on my family, but the numbers for the Dingle Peninsula are just shocking. I just wonder how many more relatives we would have if it were not for the famine. I pray for those that were lost due the famine and I thank God for those that some how made it through. Thank you again for another fascinating post. Quick question: I had emailed you several days ago about a possible consulting request, and just want to double-check that you received it – sometimes emails go astray. Kay – thanks for this. It gives me some very helpful info while trying to locate the town/townland where my ancestors lived. I have already found that one family in Wexford moved into a large town during or right after the Famine. I think that there was a lot of that during the Famine. Thank you. My ancestors – Evans/Moriarty, came from Minard Parish – in the 52% famine loss. How does one find out if they were class 4 housing. ? The family remain there now on the same land.. I visit them regularly. Thank you for the figures. Would Aulane have been in the Kilflynn Parish? If so, I do hope that the comparative small decline reflects what my great-grandmother said: that her father (Garret Fitzgerald)was able to help poorer families during the famine. How can I access the same type of statistics for County Roscommon? 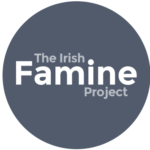 You can access the statistics of any civil parish in Ireland by logging onto http://www.Irishfamineproject.com. If you don’t know the Civil Parish you are looking for, just hover your cursor over the county – in your case Roscommon – and you will see a nummber of these parishes coming up, which should be of help.